IESE has a long tradition of treating ethics as an integral part of human behavior, and especially of business. Ethics, however, is not a collective matter, but individual. While all the employees of a company should be committed to ethical values, its top executives should be the first to do so. The ethical dimension of management should be present in every decision-making process. IESE has been sharing this vision with participants since it was founded more than 50 years ago. 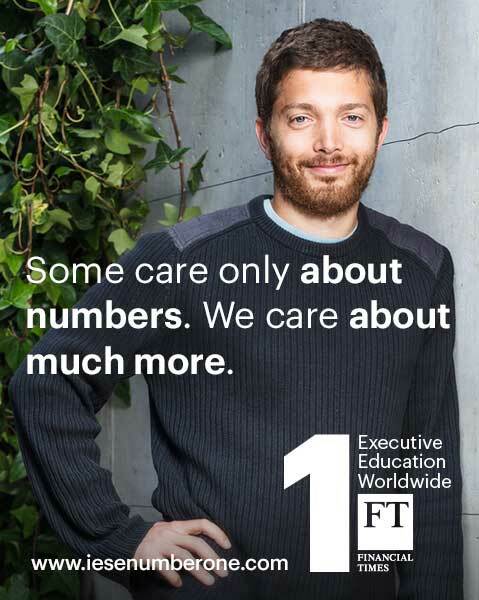 Thus, at IESE, ethics is not a fad. Instead, it has been a core part of our mission of making “…the development of leaders who aspire to have a deep, positive and lasting impact on people, firms and society,” a part of the IESE experience. In addition to conveying this vision of ethics, IESE has been advancing research and teaching focused directly on business ethics through the school’s Department of Business Ethics as well as the Chair of Business Ethics. In this blog we will publish entries written by members of the Business Ethics Department and also by other IESE faculty. The opinions expressed are those of the authors and do not represent those of IESE. What we do have in common, however, is the desire to reflect upon ethics and its role in companies’ decisions and actions, and also the conviction that placing people and ethics at the center of professional activity helps to create better people, better organizations and a better society.